The North Carolina Year Book was a business directory published yearly by the News and Observer of Raleigh. It listed businesses by towns and counties, such as Brown and Weddington's Hardware store on E. Trade Street in Charlotte. 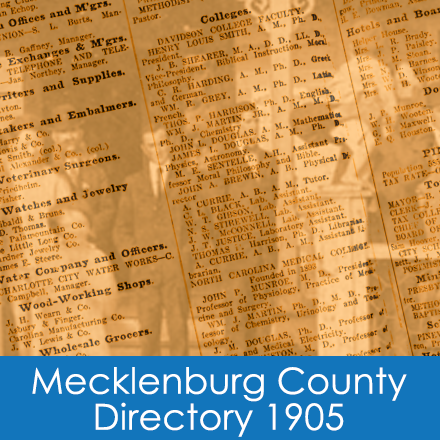 The pages below show the entry for Mecklenburg County in the 1905 edition.